If you have purchased a refrigerator in recent years, there is a chance you are the proud owner of a kosher appliance. For those who are not Jewish or do not strictly adhere to the Sabbath, this will be an unused setting; however, Jews who observe the Sabbath can enjoy modern conveniences without breaking Jewish law. During the Sabbath, orthodox Jews are forbidden from doing any work, and opening the refrigerator door and having a light turn on is considered just that. Typically, when you open the door to your refrigerator, the compressor will turn on to counteract the cold air that is displaced while the door is open. While in Sabbath mode, the refrigerator compressor will not turn on while the door is open. That process is delayed. 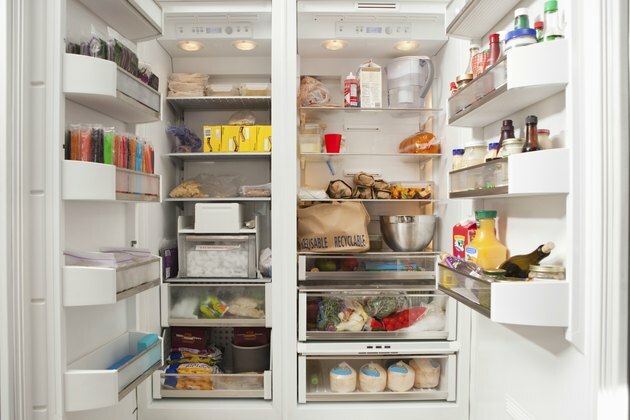 In accordance with Jewish law, the light inside the refrigerator will not turn on while it is in Sabbath mode. This is to abide by the law that no work, including the turning of switches, is to be done on the Sabbath. Under normal operating conditions, the defrost cycle operates depending on how often the door is opened and when the cycle last ran. To maintain the Sabbath, the defrost cycle will only work based on a clock cycle, ignoring any indicators that it should run. Many modern refrigerators have digital displays for the internal temperature and ice or water dispensing. While in Sabbath mode, all displays will be turned off.